This topic contains 6 replies, has 2 voices, and was last updated by SPEED MERCHANT 6 months, 2 weeks ago. So already we are at the years final GTROC London Meet at the world famous Ace Cafe London on the last Saturday of September. The meeting is open to everyone to turn up, come along, take part & get involved. However if you wish to put your Nissan Skyline, Stagea or GT-R into the main car park for display then you will need to read below how to apply. Other makes & models of car will be able to use the plentiful street parking available opposite & around the Ace Cafe. 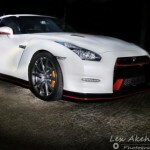 PLEASE NOTE that the GTROC accepts “ALL” models of the Nissan Skyline to our events, so a GTS, GTS-T, GTT, GTX, RS4 etc. etc. are just as import as the GT-R.
All of the above details are in full & are a strict requirement. These details are under data protection so we don’t sell these on or give them out either! Lack of information merely means you will be street parking – NO EXCEPTIONS! This also applies to GTROC Members who can no longer now just turn up unannounced with their Membership Cards. To be in the main car park you must arrive in a Nissan Skyline, Stagea or an R35. Your S13 or Toyota Supra for example won’t be allowed as nice & or rare as they may be! Please drive to, arrive & leave sensibly & quietly. No launches, burnouts, doughnuts, pops & bangs, unnecessary revving, flameouts, or drive bys doing any of the above. No POLITICS, aggressive or anti-social behaviour. Your with like minded souls sharing a passion for our cars. This is not a playground & there are children present. If you can’t follow these rules go to the local fast food or retail outlet car park meet & do them there. We do have a banned list as recently people can’t seem to follow simple rules! This event is also advertised on GTROC media such as Facebook & Instagra. The list of attendies below may not be complete but we try to update when we can. T562RKR – R34 GTR – Andrew. Thank you to everyone who came along on Saturday & apologise to those I didn’t get to say hello or goodbye too! Lots of photos thanks to Ed Keating Video & Photography on our Facebook Group & Page as well as some YOUTUBE stuff as well.